Kazuma Kiryu's story is still well and truly over, as the new game will focus on a new character. 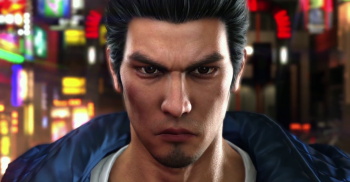 Fans of Sega's Yakuza, the series that puts you in the shoes of Japanese gangster Kazuma Kiryu, will be happy to know that despite entry number six finishing up Kiryu's story, Yakuza will go on. Yakuza 6: The Song of Life won an Excellence Award from the publication, and during the creator interview with Nagoshi, Famitsu editor-in-chief Katsuhiko Hayashi asked about the next entry in the series (via Gematsu). "As long as Yakuza 6 is labeled 'the final chapter of Kazuma Kiryu,' we won't be saying anything like, 'just kidding!'" said Nagoshi. "I'm already working on the next title. In the not too distant future... I think there will be an opportunity to talk about the next game's development in a relatively early stage." He added that "I don't think it's necessary to narrow it down to a single title. It may be multiple titles," suggesting that a whole new series of Yakuza games may be on the table. Yakuza 6: The Song of Life, Launched in Japan exclusively for Playstation 4 in December of last year. It's scheduled to launch in the US and Europe in "early 2018." If I was a billionaire, that would be one of the things I'd try to publish on other platforms.